Camping is always a great experience. Getting to be one with nature, waking up to the natural sunrise and the sounds of birds singing in the distance. But having to camp out in the wilderness also requires you to be ready for action. We have gathered a list of our favorite top 10 essential camping and tactical gear to ensure you can enjoy your camping trip to the fullest! This extremely lightweight backpack is essential for your camping excursions, and it is waterproof! It is perfect for outdoor packing, especially if you will be near the water. 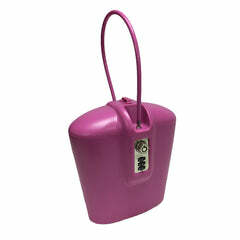 With only weighing 8.8 ounces and a 20 liters capacity, with over a 10 color options to choose from. When you is time to eat it is time to eat! This easy to carry, rust free, and stainless steel detachable fork, spoon, knife and bottle opener would be of great use when having to eat our outdoor cooked meals, or sit back in front of the campfire and open a bottle of wine and relax. If looking to stay more than a few night, this will definitely come in handy when having to wash some of your clothes quickly; it will only take you 3 minutes! By being so incredibly lightweight, fast and efficient, you can use it anywhere and whenever. When the night time comes, this will come in hand, with the push of a button you get to pick from low and high setting, lasting up form 8 to 16 hours. With a built-in solar panel recharging the batteries with 6 hours of sunlight! These personal water filter straws can provide 792 gallons (3,000 liters) of safe drinking water by killing up to 99.99% of bacterias found in the dirty waters like e-coli. Coming in packs of 3, making it perfect for you and your friends. It’s a tent but also a hammock, all in one! Who doesn’t like to be relaxing?! With an attached bug netting on top, it will prevent any mosquitos or leave interrupting your swing. It also comes with additional protection from the rain! Coming in 3 earthy colors, this mat is perfect for laying in the grass or sand without having to get any dirt on it, with rings in the corner allowing you to affix firmly to the ground. Available in various sizes to fit as many people as you want. For all of our technology-obsessed campers, fear not! We have found a perfect pocket battery to have your phone last longer, in case of emergencies, you will still have the power to post all the pictures you want in social media! Providing up to 3 full charges to an iPhone and up to 2 for a Galaxy. Lightweight, waterproof, comfortable, and with its own storage bag, this is the perfect sleeping bag for your camping needs! Designed for the extreme weather while easy to clean and carry, and also safe for even machine wash once you get back home from your adventures. You are likely to go hiking with a group of friends or loved one, then this tent is perfect for up to 4 people, with an easy set up under 10 minutes and large windows for easy ventilation. Ideal for most weather conditions, with a material meant to keep you safe from the shade and rain. Seriously, don’t die in the woods! This 2 people tear-resistant is a must will protect you from harsh weather, made from a strong and flexible mylar is guaranteed to keep you safe. Be prepared to stay safe from the rain, the winds while staying either warm or cold, and the best part of it, it is reusable!